If I have learned one thing this generation, it is that there is always room for another pixel-art shooter. 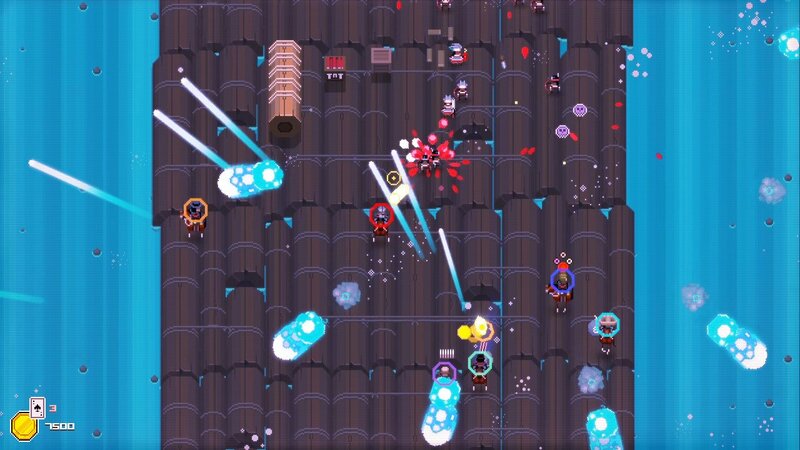 The style has become the go-to visual aesthetic for independent games the world over, and while A Fistful of Gun certainly brings its own unique flair, it isn’t long until it blends into the crowd as yet another indie shoot ’em up. A Fistful of Gun is a story of revenge. An evil railway tycoon struck a deal with the devil, and you play as the 11 Wild West shooters who are going to bring him to justice. 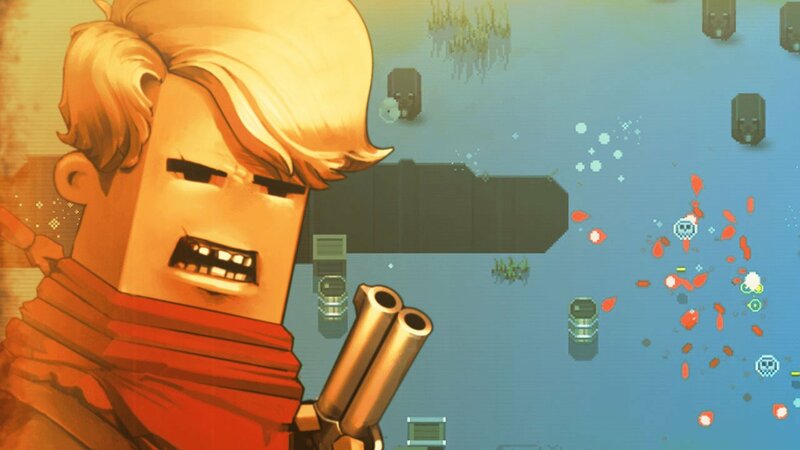 Right from the get go, A Fistful of Gun oozes with style and charm, utilizing its pixel art and eccentric personality as a backdrop to chaotic arcade shooting. Playing as one of the 11 avengers, you’ll face off against hordes of bandits, Native Americans, and even more zany archetypes like KKK members. A Fistful of Gun is also quite a challenge, and it won’t take very long until you are greeted with your first game over screen. Fighting against the overwhelming masses in closed-off arena sections can be tough, and you’ll need to utilize your character to this best of their abilities while also making smart use of the environment to divide the hordes and provide cover from their gunfire. One shot and you’re dead. The story mode acts more like a randomized campaign that you’ll play through on your quest for revenge. Each section of the map you enter will pose a specific challenge that, once you complete, allows you to choose where to head next. Each direction you travel is marked by a symbol which informs you of what kind of challenge you’ll face, something that really helps you strategize how you want to work through the campaign once you know what each symbol represents. The challenges themselves have a decent degree of variety, though most will involve killing a horde of bad guys in some form or another. A Fistful of Gun doesn’t take itself very seriously, and I couldn’t help but smile when a ravenous pack of bears stormed the screen killing everything, or when a visit to a mysterious elder resulted in smoking peyote and then battling enemies while stoned off my horse. More diversity is found in the 11 characters you can take into battle. Though each is randomly unlocked by playing the story (they are freely available in the other game modes, however), they each play in a unique and memorable way. Some of them even make exclusive use of either a controller or a mouse and keyboard in order to play. While every character can be played with a mouse and keyboard, those who were made with the controller in mind lack their unique scheme for shooting. If you don’t have a controller to play with, you’re missing out on a big chunk of the appeal. That said, the different control schemes aren’t necessarily more powerful than one or the other, but each adds a unique challenge to how you play. Abel can rapidly fire by flicking the right stick on a controller in the intended direction but also has to reload his entire cylinder before he can fire again. Tao plays like a traditional twin stick shooter, allowing you to fire big rockets or little rockets in the direction of the right stick while maneuvering with the left. The list goes on and on, and playing each character and finding how to master them is satisfying in its own right. All of this lays the foundation for a game that could be really interesting if only the multiplayer servers weren’t absolutely dead. I hate to conjure the image of a tumbleweed blowing through the empty player lobbies, but you get the idea. It’s a shame, too, because A Fistful of Gun sports up to 9 players in a match, even though I could never find more than 4 online at one time. If you have a large group of friends willing to play with you, it could be worth it, but as it stands, it feels like a whole half of the potential for this game is simply spoiled. And I can’t confidently say that the other half is really all that worthwhile. The action was chaotic, but it never felt as tactile as a shooter like this should feel. The pixel-art works against the chaos by devolving the action into an imperceptible mess of pixels flying around the screen. I lost track of my character and my aim pointer constantly. While the game offers some really interesting risk/reward scenarios, especially in the story where you can choose what challenge to take on next or whether to pick up some whisky to earn a random modifier like slow motion, it never felt compelling enough to make me want to keep playing. A Fistful of Gun really lacked that kinetic chaos represented by the best of the genre. The arcade mode is easily the best aspect of the game, condensing the randomized battles of the story into a gauntlet of challenges where modifiers like exploding bullets stay with you as you progress through the mounting challenges. But, as good as it is, it is rather one-dimensional and it won’t be long until you’re bored of any challenges it might offer. A Fistful of Gun has elements that I really enjoyed, but it also fails to do anything very exciting with them. With an online mode that is practically non-existent due to how few are actually playing, I instead found myself pushing through the arcade and story modes long after they had lost their appeal. If you have friends, split-screen co-op or online play might make this a more worthy purchase. But right now, A Fistful of Gun feels more like a ghost town. 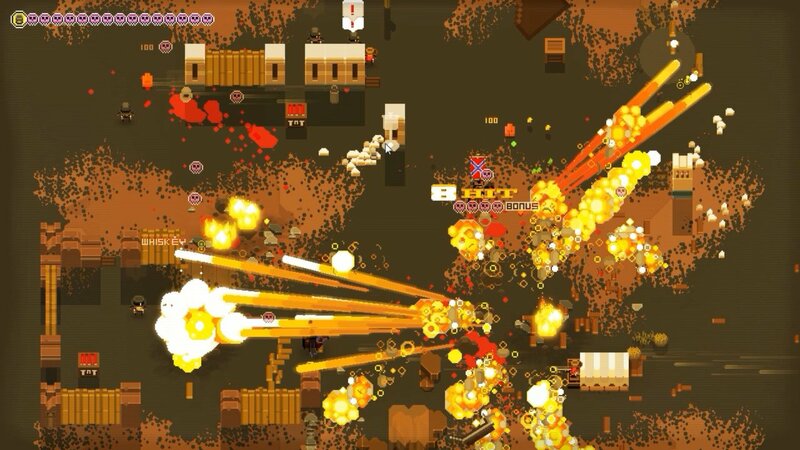 Though A Fistful of Gun has potential, the empty multiplayer servers and repetitive campaign puts a bullet in any momentum it has going.